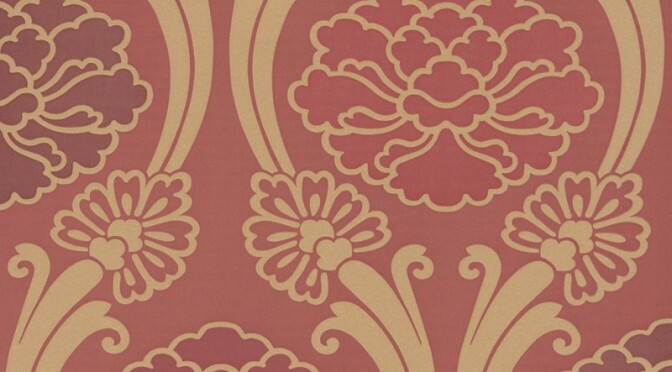 Little Greene Oriental Wallpaper – Peony in Cherry has been specially designed to add some warmth and colour to your home. This delightful wallpaper is part of Little Greene’s Oriental wallpaper collection which has been inspired by traditional Japanese kimono fabrics. This particular design features a series of peony flowers in an edgy damask style print. In a luxurious cherry red shade, this wallpaper will make a welcome addition to any room either throughout or as a feature wall. Complete the look by teaming the Peony Wallpaper in Cherry with coordinating paint shades for an on-trend look.